It began back in the year 1990 when Honda NSX made its first sale with a 3.0 Liter V6 engine. Since then with every passing year the power produced and the performance so attained kept on covering another lap in hearts of car lovers. Since the very knock the power generated by its engine was no where in comparison t rest of the supercars rolling the streets but the low curb weight of model gave it noticeable performance. 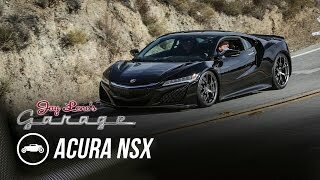 Came the year 2005 when the production ceased and series of concepts kept rolling like a film strip and after years now we finally have Honda NSX 2015 with us. Let us know more about the new released model. 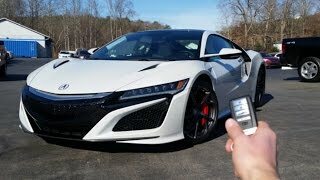 Unlike other models the interior frame of Honda NSX 2015 doesn’t hold much of carbon-fiber inserts or Alcantara Leather work as the company decided to insert aluminum switching from Carbon fiber while the Alcantara can only be noticed on the middle part of seats. The center console holds few buttons and knobs which resemble to the rest of the Honda models while the climate control air vents gets entirely revised configuration. The most attractive part in the interior of Honda NSX is its racing inspired steering mounted with major controls for better and safer driving experience followed by all new tech-spec instrument panel. 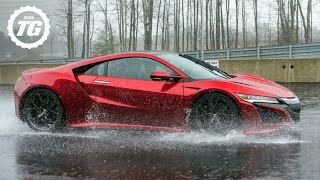 Just like most of the racing inspired models, Honda too used Red and Black colors to design interior of NSX 2015 and this no doubts takes a model a step ahead giving super-sporty look. 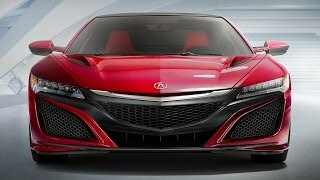 The exterior of Honda NSX 2015 resembles lot to the concept presented two years back. The front fascia of Honda NSX features massive grille holding underneath larger splitter sticks. However the blades to separate the side intakes and grille got adored with new shape. The front of Honda NSX gets more appealing look with sporting large vents counting two, right above the wheel arches. As far as the rear fascia of NSX 2015 is concerned model dragged the concepts taillights with it apart some modifications though noticed. The major amalgamated change comes through the exhaust tips located in center, which previously had a position close to side vents. The Honda NSX features one of the most advanced SH-AWD system in this model. The system undoubtedly is capable f producing heart-throbbing torque than any other model released in 2015. The 3.5 liter V6 engine will use three radiators, while the two of them will look after front axle the third electric motor mounted amidst the engine and rear based nine-speed DCT. 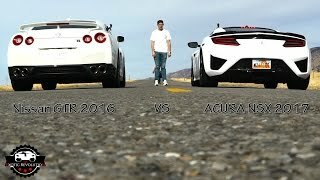 Apart from these, the performance specs are not yet released but speculations narrate Honda NSX 2015 to produce over 500 horsepower.